Prioritize your Jobs and assign them a due date! 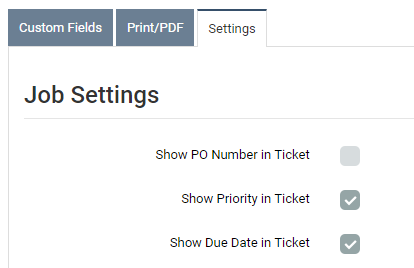 To enable the Priority and Due Date field, go to any Job, click the Customize button, and check the appropriate boxes on the Settings tab. The settings you choose will then apply to all Jobs. To define your priorities and assign them colors, like below, just go to Settings > Priorities. There’s more! You can now sort your Job list by priority or due date too. 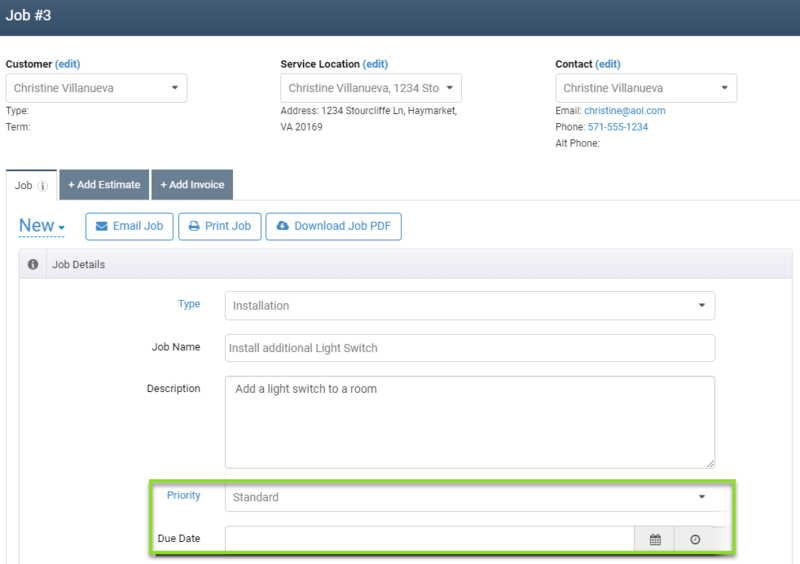 To see Priority and Due Dates in your Job list, go to Jobs > Options > Customize Table Columns. Then check the Priority and Due Date fields and hit Save.